Perhaps you’ve noticed a theme emerging in my writing this month? I’ve been talking about creativity. I may or may not continue this through the month, but for now, I hope you’re enjoying this. Today, I’m doing a short post on the connection between creativity and laughter. Have you ever worked with a groups, at work or otherwise, on creative projects? Looking back, what was the most creative group you worked with? Were they all a bunch of morose people or did you all have fun together? From my experience I can say that laughter sparks creativity. I was lucky to be part of a group of people who worked on a variety of projects – training programmes, shows, music concerts etc. Barring a few meetings that were stressful, mostly because of some controlling types, I can recall how creative we were and how much we laughed. Even to this day, some of these meetings stand out in my mind. We laughed while we brainstormed, the most ridiculous ideas were entertained, and we found creative solutions with our low budgets and limited resources. In some of the others organisations I worked in too, I realize what an important role laughter played to make our work fun and effective. There’s plenty of research and writing that goes to show my experiences are not unusual. 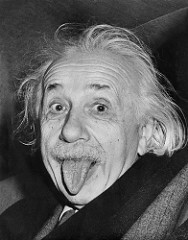 A sense of humour seems to be something that Albert Einstein and the American physicist Richard Feynman had in common. Could their ability to laugh have sparked their creativity? Perhaps. And what about this picture of him posing for the Press? Make sure you make plenty of time for laughter if you want to improve your creativity! on other blogs—particularly those that are doing well. You can pick up all manner of ideas, strategies, and tips. This is great, Corinne! I think it’d be so productive working with a group of fun, creative people who are willing to laugh rather than micromanage. It’d be the perfect working conditions, right!? Thanks for bringing laughter to the party. I have not linked laughter to creativity before, that is awesome. I have often said that when ever you meet active older people, they always have a sense of humor, it keeps them young. Laughter has a way of touching every aspect of our life. Thanks for stopping by, Kathleen. Thanks for the great prompt, Mia. True, so true! That must be why laughter is like medicine (Bible) – it heals all sorts of maladies from sickness to thought processes!! Great post. I have no doubt that creativity is sparked by laughter. There’s nothing quite like laughing until your sides ache to make you feel good about life and generate inspiration! Laughter is not only the best medicine, but it absolutely does make the creative juices flow! I love a great belly laugh whenever one comes my way. thinking why it took us so long to see the obvious. 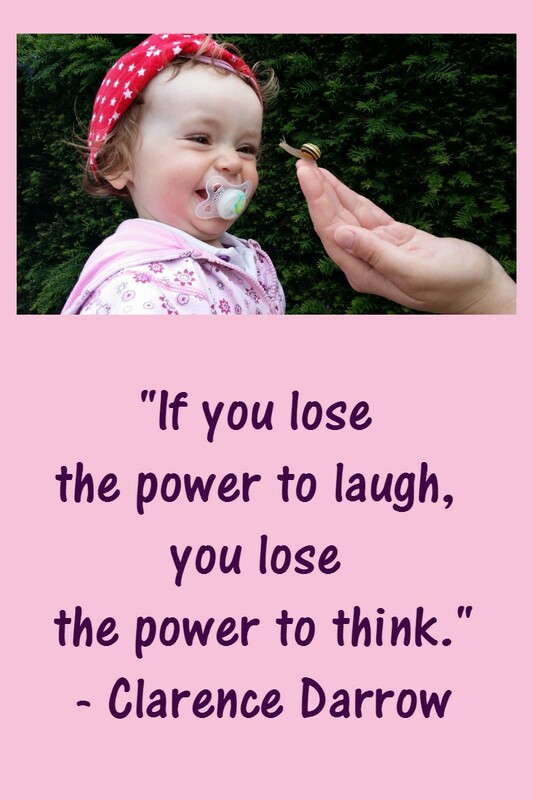 Laughter is indeed thought provoking and creative, it opens all the channels of thought and leads us to ideas, which lie dormant in our minds. Not only that, it has been the best medicine for ages…an antidote for all our worries and moments of anguish, that is why it has been picked up by Yoga Gurus to make those laugh who have forgotten it. Look at a child. Laughter comes naturally to him/her till we start putting restrictions and curb it according to self-created norms. Love those quotes especially the one by Einstein. Thanks for sharing them.